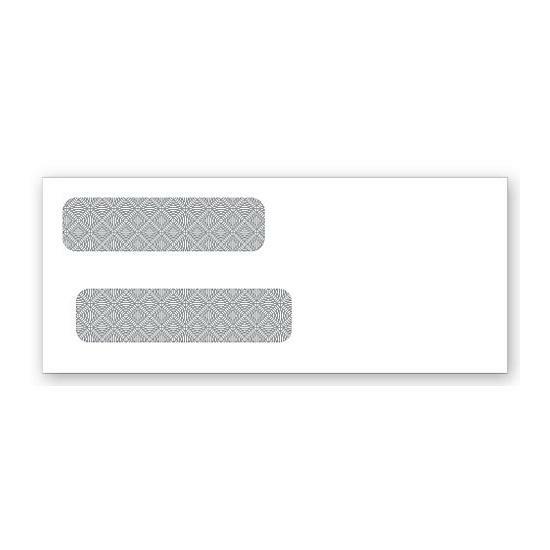 Double Window Confidential Envelope 8 5/8 X 3 5/8"
Double Window Envelope 3 1/2 X 7 1/2"
Double Window Envelope 3 9/16 X 6 1/8"
Double Window Envelope 7 1/2 X 3 1/2"
Double Window Envelope 8 X 3 1/2"
Double Window Envelopes 8 X 3 1/2"
Double Window Self Seal Check Envelope 8 5/8 X 3 5/8"
We offer a wide selection of double window check envelope that is self-seal and secure. 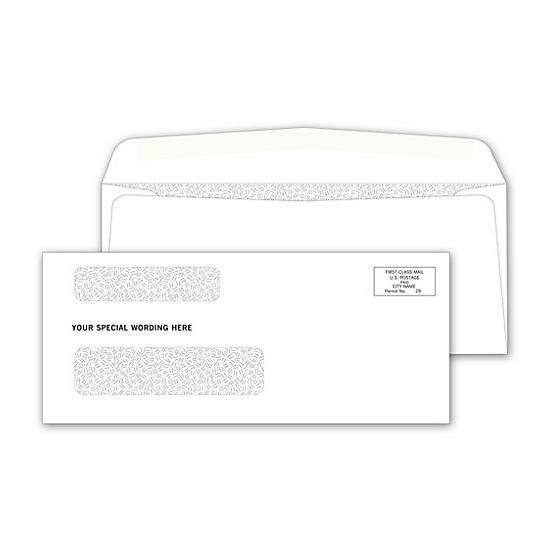 Mail business checks with confidence using envelopes that are designed specifically for payroll and other payment-related situations. 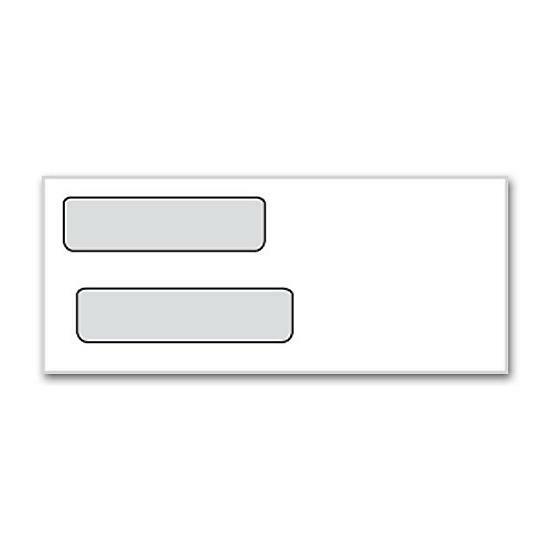 We offer different sizes and window positions that will fit seamlessly with checks that are printed with a software like QuickBooks. 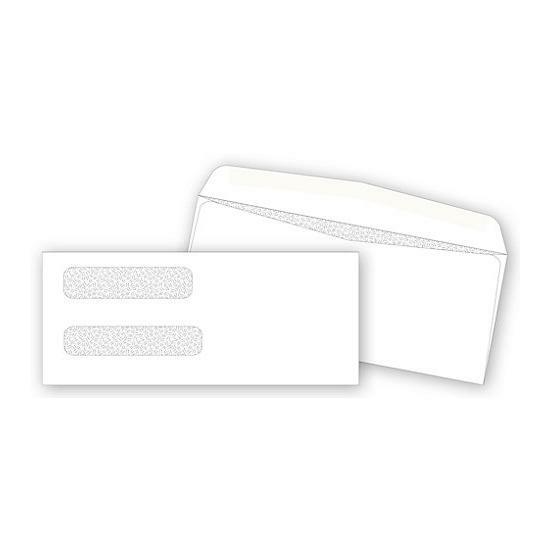 The self-seal option gives you flexibility, speed, and help you to work more efficiently. 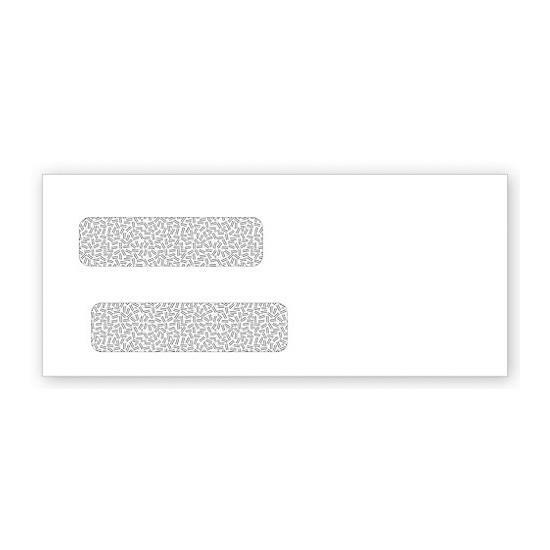 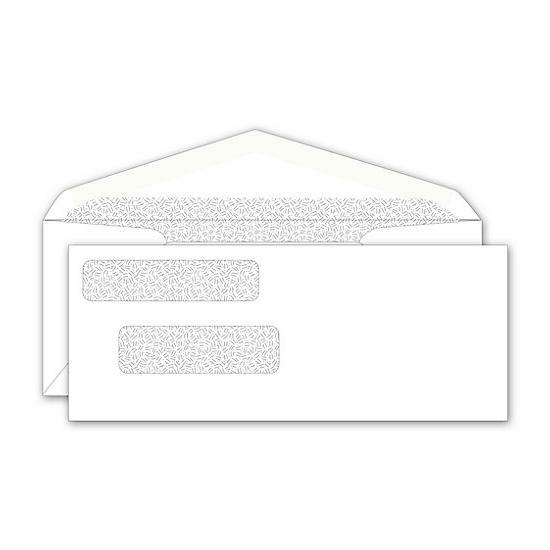 Our Standard and Confidential check envelopes are made with high-security features. 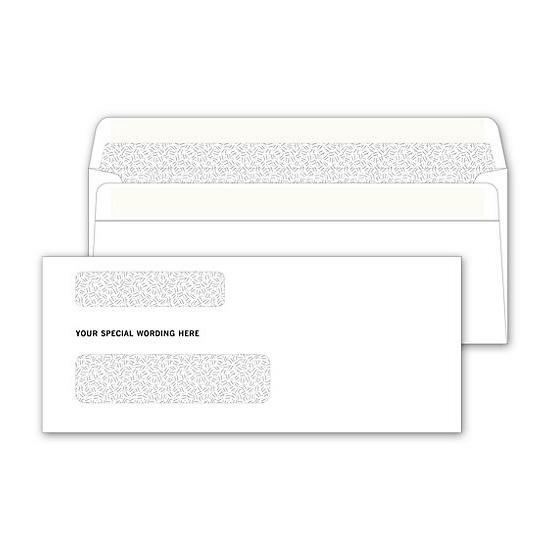 Tinted inside pattern keeps confidential information from showing through. 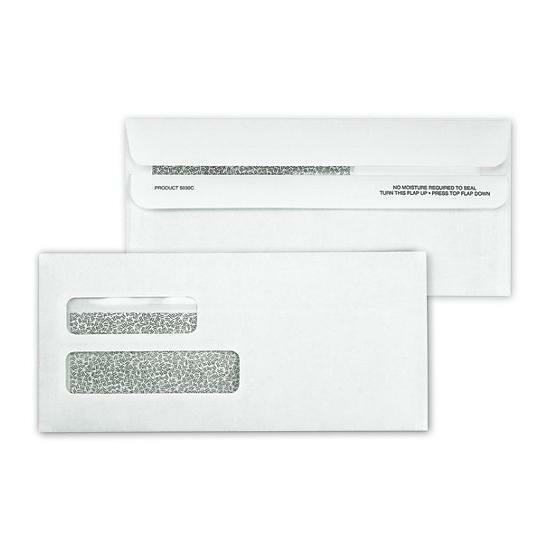 The type of check envelope you use will depend on things like your accounting software, the size, window or no window, color, etc. 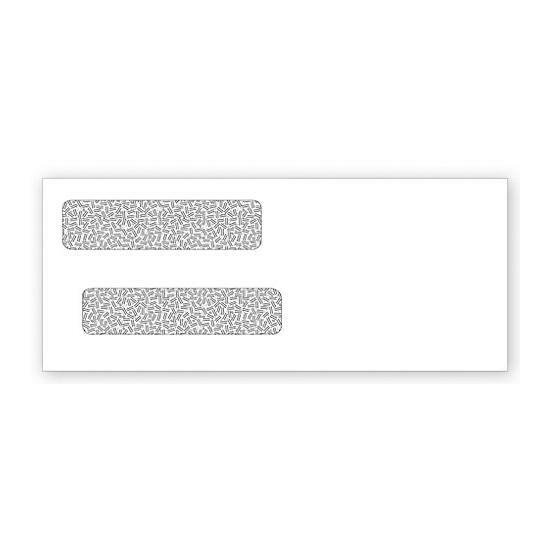 The size will depend on the type of check, for instance, a wallet check envelope would be smaller than those created by InTuit or QuickBooks. 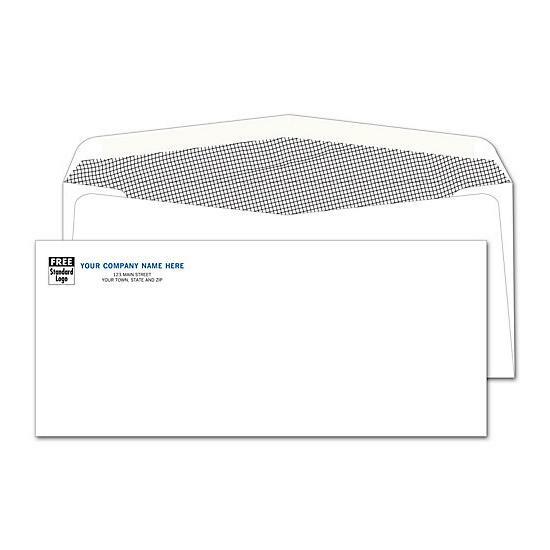 One of the most popular sizes is the 8 5/8" x 3 5/8" but we offer many others ranging from the small 3 1/2" x 7 1/2" to the large 9" x 4 1/8". 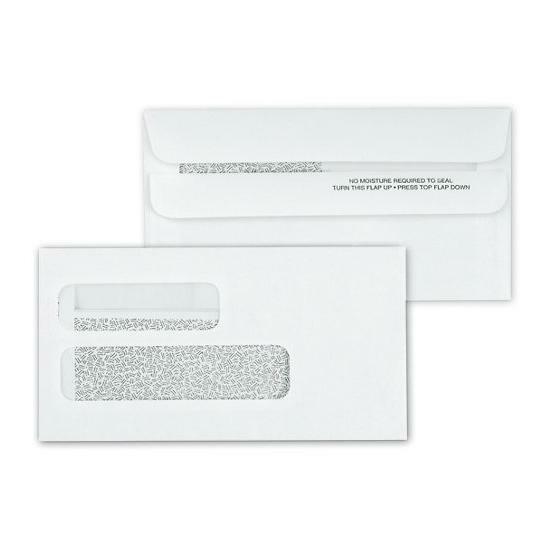 Most of these envelopes have a white or grey color with tint or pattern inside. 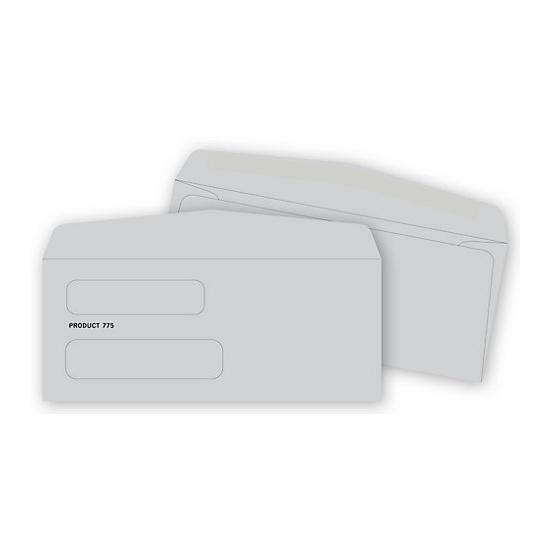 Business check envelopes are great for paying your staff, paying your bills, mailing etc. 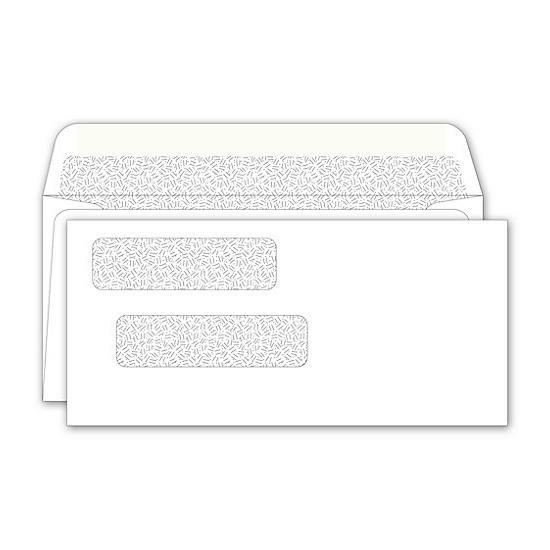 These window check envelopes streamline your whole bill paying system. 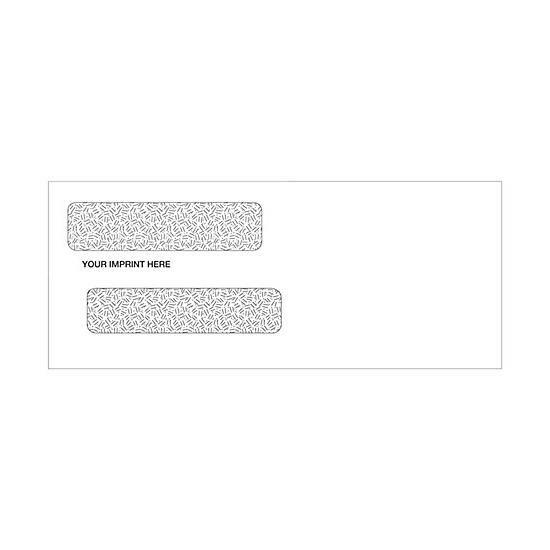 The convenience of the see-through window helps you to send checks in the mail hassle free. 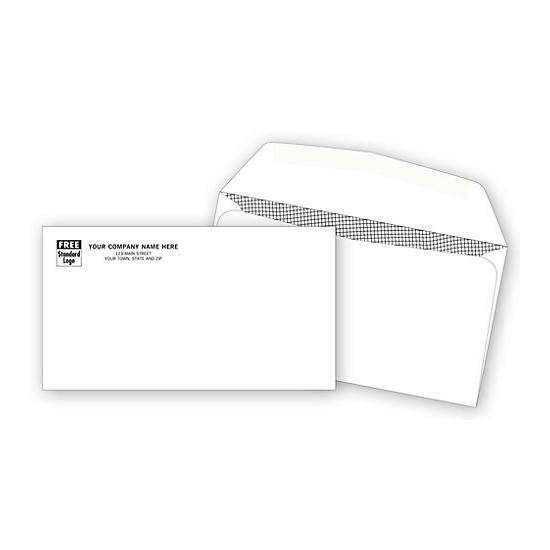 We also have commercial and business envelopes on sale!